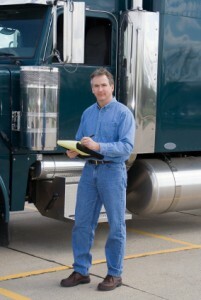 For those not in the truck driving industry, the job may seem like an easy and simple task. However, for those who are within the truck driving industry, the harsh truth is the job requires attention and precision or else it can become quite dangerous. In fact, in 2012 alone, large trucks were involved in at least 300,000 accidents across the nation. In a 2014 publication of Time, truck driving found itself at number 8 within their list of the top 10 most dangerous jobs. The annual road check inspection is scheduled this year for June 2nd to the 4th, and will be performed in a joint effort by the Commercial Vehicle Safety Alliance and the Federal Motor Carrier Safety Administration. During these 72 hours, about 10,000 officials at 1,500 stations throughout North America will perform over 70,000 inspections. Although we see trucks on the road everyday, the average person does not take the time to think of how important of a role the transportation industry plays in our daily lives. From the clothes you put on in the morning to the dinner you prepare, these goods reach us by the truckers driving all over the nation. Providing such vital services, the transportation industry is the backbone of our economy. If you’re looking for a dependable company to ship your goods on the east coast, Evan Transportation is here for you. Evan Transportation is a trucking company based in Baltimore on the heart of the east coast. We ship within the Delmarva area, as well as West Virginia, Pennsylvania, and New Jersey. With technology making communication so easily accessible, standard industries are being rocked by new services. With the creation of Uber, the taxi industry is taking a heavy hit with business. Now, major freight companies are bracing themselves for the possibility of an Uberization of freight.